Shelley, Percy Bysshe (1792-1822), a romantic English poet and critic, considered by many to be among the greatest, and one of the most influential leaders of the romantic movement. He was born on August 4, 1792, at Field Place, near Horsham, Sussex, educated at Eton College and, until his expulsion at the end of one year, the University of Oxford. Throughout his life, Shelley lived by a radically nonconformist moral code. His beliefs concerning love, marriage, revolution, and politics caused him to be considered a dangerous immoralist by some. Many critics regarded Shelley as one of the greatest of all English poets. They point especially to his lyrics, including the familiar short odes "To a Skylark" (1820), "To The West Wind" (1819), and "The Cloud" (1820). Also greatly admired are the shorter love lyrics, including "I Arise from Dreams of The" and "To Costantia Singing"; the sonnet "Ozymandias"(1818); and "Adonais" (1821), an elegy for the British poet John Keats, written informal Spenserian stanzas. The effortless lyricism of these works is also evident in Shelley's verse dramas, The Cenci (1819) and Prometheus Unbound (1820); his prose, including a translation (1818) of the Symposium by Plato and the unfinished critical work A Defense of Poetry (written 1821; published 1840), is equally skillful. 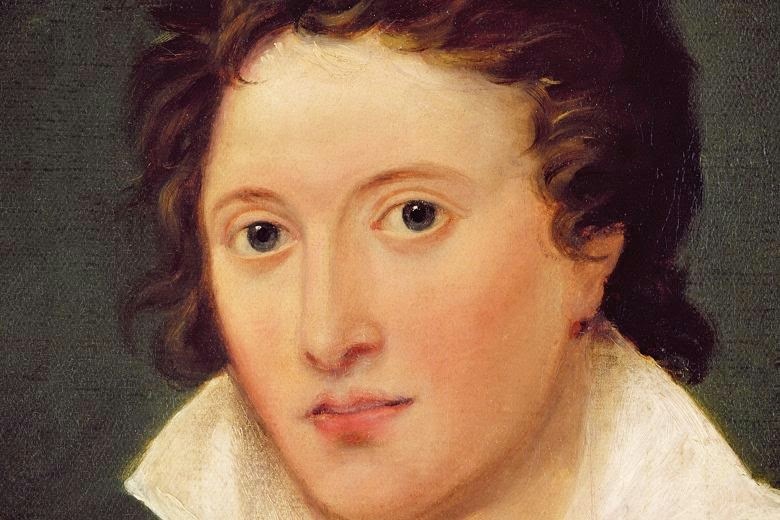 Other critics, particularly antiromantics who object to the prettiness and sentimentality of much of his work, maintain that Shelley was not as influential as the other British romantic poets Byron, Keats, or William Wordsworth. According to Shelley, poetry is the expression of imagination. It is not subject to the control of the active powers of the mind, and its birth and recurrence have no necessary connection with the consciousness or the will. One cannot create poetry unless one is inspired. To him, the poet must be inspired and his poetry is addressed to an audience, so the target of poetry is social, thus the poem is the image of life. If the poet is not inspired, then he will write bad poetry. His consciousness and will are not important. He adds, a poet can't say I am going to write a poem because he is to be inspired by the Muse or madness first. The poet does not know the ideal object imitated, only philosophers do. In addition, the poet has to keep a certain rhythm or order; otherwise, the image would be deformed. His minimum task is to keep the image acceptable since it is of an object which already has less harmony and order than the ideal one.The poet is a writer and he has to imitate otherwise he will not write poetry. This is automatically done since he uses language, and language itself is poetry. Language is conventional and it is a medium for poetry. The poet creates new combinations of the language. Poetry is an achievement in language. Thus, language is a tool. It is not a poets task to create a language, but he has to create his own combination. Therefore, Shelley states that there is no abstract poetry because the tool which the poet uses is conventional (language). There is no poetry outside language which is concrete. The poet can know that his poem is about something which is to imitate an object conceived by him (that is why he can foretell). "Inspiration" according to Shelley is an external catalyst that provokes poetry (muse). So, when the poet writes poetry, he does not create since he is inspired. Moreover, he has a message to convey. 1) Work of art (poem). This is Shelley's theory, so the poet can't miss any element of these four elements, because poetry has a target that is ethical, moral, and social one since it depends on the audience. His most thoughtful poetry expresses his two main ideas, that the external tyranny of rulers, customs, or superstitions is the main enemy, and that inherent human goodness will, sooner or later, eliminate evil from the world and usher in an external reign of transcendent love. Shelley felt the magic touch of liberty. He addressed the common people of his country saying "Rise like lions after slumber". He laments the good old days before industrialization. "O word! O life!O time! When will return the glory of our prime"